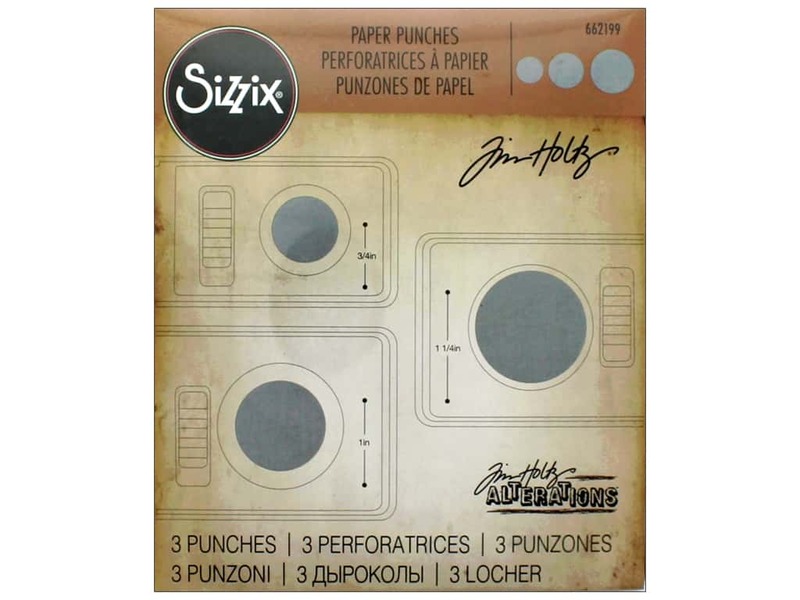 Description: Sizzix Paper Punches make amazing shapes for any occasion and can cut up to three sheets of cardstock at once, as well as fabric, fiber, foam, magnet, metallic foil, photographs, and vellum. Set Tim Holtz Circles 3pc- 3 punches that make circle shapes, approximately .75", 1", and 1.25". Ergonomically designed with a special comfort grip and locking latch for stackable storage. It includes a large surface area for the most exact cutting and leverage. See more Sizzix Paper Punch.